In 2012, when the Obama Administration sought to raise average fuel economy standards, something unexpected happened. The 'Big Three' automakers -- General Motors, Chrysler and Ford - backed the effort. For decades, every attempt to raise fuel economy standards had been met with stiff opposition from automakers who argued it was too costly, too difficult, and would result in cars Americans wouldn't want to drive. Today, Ford is integrating bold sustainability goals across much of its business. In addition to cutting global water use by 60 percent since 2000, the company is pushing to reduce facility CO2 emissions by 30 percent by 2025, consistent with reductions scientists say are needed to prevent catastrophic climate warming. The company has also improved its fleet fuel efficiency by 20 percent over the last five years. Meanwhile, General Motors is on the leading edge of developing the next generation of hybrid and electric cars, led by the Chevy Volt, and is pushing to achieve 125 megawatts of renewable energy use by 2020. GM was also the first automaker to sign Ceres' Climate Declaration, asserting that a bold response to the climate challenge is 'one of America's greatest economic opportunities of the 21st century.' For both U.S automakers, sustainability is now a core business strategy that is improving competitiveness in a global market, creating jobs and helping their bottom lines; it's about preparing to succeed in a global economy that will be profoundly shaped by climate change, water scarcity and the other sustainability challenges of the 21st century. My nonprofit group, Ceres, has been working closely with Ford and GM for many years as the companies have taken their sustainability journey. This relationship is a model for a new form of environmental activism, one that minimizes the confrontational tactics of the past with a hardheaded business approach built upon the economic and financial case for social and environmental corporate responsibility. Over three decades as an activist, a lawyer, a regulator (I served as EPA's New England regional administrator under President Clinton) and now the Ceres president, I've had the opportunity to assess the many strategies environmentalists have used to try and create large-scale change. My conclusion is that conflict and confrontation, while sometimes unavoidable, must be coupled with engaging with business on its own terms. There is a powerful dollars and cents case to be made for companies and investors to be finding solutions to the preeminent environmental issues of our times - climate change and natural resource scarcity - and to eschew the short-term mind set that too often sacrifices long term prosperity on the altar of quarterly performance. The changes being made at hundreds of companies, like Ford and GM, aren't because they want to be do-gooders; they're being made because we've helped these companies see sustainability as critical to their long-term success and the success of the broader economy. Unique among the many NGOs working on sustainability issues, Ceres is marshaling the power of institutional investors, large corporations and other capital market players to build a sustainable global economy. The sheer scale of the challenges we face requires that we harness this power, instead of contesting it. Just as capital market forces have contributed significantly to the sustainability crises of the 21st century, so, too, can they be leveraged towards the solutions side of the equation. This is social entrepreneurship on a grand scale and it works. Through our work, 4,000 companies globally are now disclosing their environmental and social performance each year in public reports. We teamed up with investors to get the Securities and Exchange Commission to require mandatory climate risk disclosure by public companies. We've opened the way for chief sustainability officers joining the 'C' suite at Fortune 500s and mainstream investors integrating sustainability factors into their investment decisions. These are important steps forward on a long journey, but time is of the essence. That's why it's imperative that we harness the power of capitalism in the service of sustainability. Mindy Lubber is president of Ceres, a nonprofit organization mobilizing business and investor leadership on climate change and other sustainability challenges. 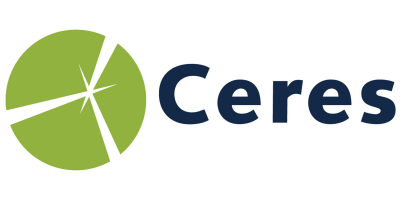 For details visit,www.ceres.org or follow us on Twitter @CeresNews. No comments were found for Rethinking the role of business in solving environmental threats. Be the first to comment!